Launch delays are sometimes part of the equation in determining when specific missions launch in relation to each other. Sometimes, those delays occur to missions for the same agency, as is now the case with TDRS-M and CRS-12. 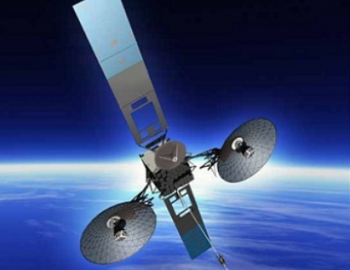 With replacement operations to the TDRS-M omni antenna underway, NASA/United Launch Alliance at first requested 10 August for TDRS-M – then changed that a day later to 20 August. 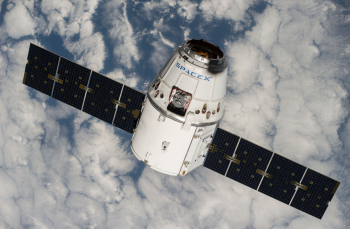 SpaceX has requested 14 August for the CRS-12 Dragon launch to the International Space Station. Determining mission priority for two missions for a single agency, as is now the case for TDRS-M and the CRS-12 Dragon resupply mission to the Station, can be somewhat tricky. Sometimes, launch contracts drive the priority decision. Other times, the immediate need for a particular mission or its impact on subsequent missions/events drives which one gets priority. 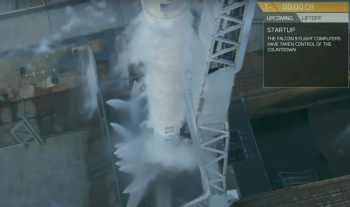 Still other times, the agency providing the launch vehicle and the launch service is instrumental – based on their own schedules and needs – in determining priority. As the increasingly busy launch schedule off the Eastern Range in Florida this year has proven, all companies involved in the launch business are more than willing to negotiate launch dates with each other and to act as good neighbors when delays occur – which happen to every launch provider. In the particular case of TDRS-M and CRS-12, priority determination came down to an assessment of the Omni antenna replacement on TDRS-M – an antenna that was damaged during final processing at the Astrotech facility in Titusville. That antenna replacement schedule revealed a No Earlier Than (NET) launch opportunity on 10 August 2017 on a United Launch Alliance Atlas V rocket. The issue then became that 10 August was the already requested and range approved launch date for the CRS-12 Dragon as well as the launch date the ISS Program had for crew scheduling and an upcoming Russian EVA on the Station. Nonetheless, as both missions are NASA flights, the agency had the ability to internally determine which mission had priority over the other. Given an identical NET launch dates for both missions, NASA opted to prioritize TDRS-M over CRS-12. As noted to the NASA Advisory Council (NAC) yesterday by Greg Williams, Deputy Associate Administrator for Policy and Plans in NASA’s Human Exploration and Operations Mission Directorate, replacement of the Omni antenna on TDRS-M occurred Monday at the Astrotech facility, with full up testing of the antenna now underway. Replacement of the antenna was a positive step toward the requested 10 August launch of TDRS-M – a requested confirmed by NASASpaceflight.com from source info available on L2. Moreover, according to Range information acquired by NASASpaceflight.com, on Tuesday ULA requested 28 July for the MDR (Mission Dress Rehearsal) of the Atlas V and 10 August for launch of TDRS-M in a window extending from 08:35 to 09:15 EDT (12:35 – 13:15 GMT/UTC). 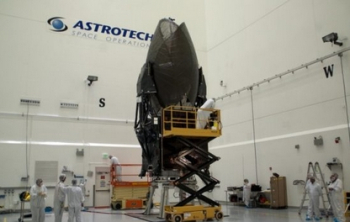 Nonetheless, NASA left open the possibility of a further slip to TDRS-M pending final antenna replacement testing. Should the satellite incur an additional delay, NASA will reevaluate which mission has priority – a discussion, should it become necessary, that will have an added element to the equation: the fact that CRS-12 Dragon has to launch at least two days before an upcoming 17 August Russian EVA at the Station or be delayed until “several days after” that EVA is complete. UPDATE: After close of business on Wednesday, NASA announced an additional 10 day slip to TDRS-M, with a new request submitted for 20 August 2017 in a launch window that day of 07:56 – 08:36 EDT. It is unclear at this point if the requested 28 July MDR will now slip as well or if it will remain on its requested day. SpaceX has officially requested from the Eastern Range a launch date of 14 August for the CRS-12 mission of Dragon to the ISS, giving the company just two days to launch the mission before having to stand down for several days due to a Russian EVA conflict at the Station. This could create an interesting situation of SpaceX only having two days – or possibly just a single day – to launch the CRS-12 mission before having to stand down for the Russian EVA. Presently, that spacewalk is scheduled for 17 August, and documentation acquired by NASASpaceflight.com and available on L2 states that SpaceX would have to launch at least two days prior to that EVA – making 15 August the last possible day to launch before the EVA. Muddying this opportunity is the fact that CRS-12 will once again be bringing mice up to the Station on Rodent Research 9 for NASA, as related to NASASpaceflight.com by KSC PAO, and in the Mouse Habitat Unit – 2 (or Mouse House) for JAXA. The previous two Dragon resupply missions, CRS-10 (Rodent Research 4) and CRS-11 (Rodent Research 5), also brought mice to the Station. CRS-10 was able to employ a 24-hr scrub turnaround when its first attempt ended at T-13 seconds due to a Thrust Vector Control system issue. However, CRS-11 had to employ a 48-hour scrub turnaround so its mice (or mouse-tronauts) could be rotated out with fresh mice. Exactly what turnaround option will be employed for CRS-12 is not confirmed at this time. But if Rodent Research 9 or the Mouse House requires a mouse changeout after a potential scrub, that could leave 14 August as the only launch opportunity before having to stand down for the Russian EVA. While standing down for such a prolonged period around a spacewalk is not the way things usually work, it is nonetheless the reality in this case because the Russian EVA is deploying two satellites from the Station. Once those satellites are released, their orbits and trajectories have to be carefully categorized and plotted to avoid any potential infringement or collision scenarios with Dragon. And therein lies the issue: Dragon cannot be in flight on its way to the ISS when the satellites are deployed as it would create too great a risk of potential collision between the satellites and Dragon. However, once their orbits are determined, Dragon can – if launch occurs after the Russian EVA – be safely maneuvered around them. This also eliminates the ability to launch Dragon and then have it loiter away from the ISS until the EVA is complete. Nonetheless, SpaceX stands ready to launch CRS-12 on 14 August in an instantaneous window at ~12:31 EDT (16:31 GMT/UTC). Technically, there is a five minute window that day (12:28 – 12:33 EDT); however, Falcon 9 launches to Station always target the center of the window for performance optimization. 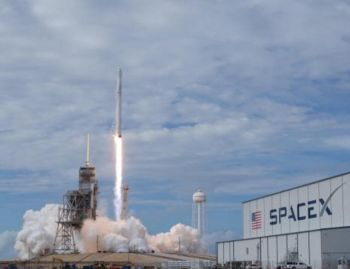 In accordance with the realigned dates for TDRS-M, on Tuesday SpaceX officially entered a request to the Eastern Range to conduct the static fire of the Falcon 9 rocket at LC-39A on 9 August – just one day before the TDRS-M launch. After the static fire, the Falcon 9 will be transported back into the Horizontal Integration Facility (HIF) outside the pad perimeter, where it will be mated to its Dragon capsule. Moreover, with regard to the ground computer issue that caused two T-9 second scrubs for the Intelsat 35e mission, NASASpaceflight.com has learned that the computer has been thoroughly examined and that the cause of the issue was identified and corrected. This should provide a smooth count for the CRS-12 Dragon – which is the final newly-constructed Dragon for cargo resupply efforts, per an update given to NAC yesterday by Sam Scimemi, NASA’s Director for the International Space Station Program. Starting with CRS-13 later this year, all future Dragon cargo resupply missions will utilize previously flown Dragon capsules.